We are a well-known manufacturer, supplier, exporter and wholesaler of a quality range of Designer Ribbons Laces and Tapes. 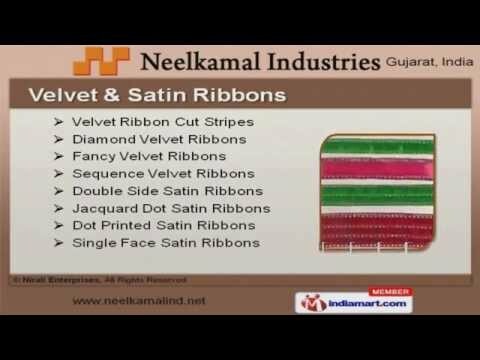 We, Neelkamal industries are engaged in manufacturing, supplying, exporting and wholesaling a high quality range of Designer Ribbons Laces and Tapes, such as Woven Label, Gift Packaging Lace, Velvet Ribbons & Many more. since 2001. 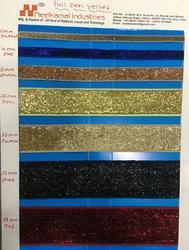 In our range, we are also offering Diamond Velvet Ribbons, Fancy Velvet Ribbons, Organza Ribbons, Sequins Velvet Ribbons, Stitching Velvet Ribbons and Double Face/ Double Side Satin Ribbons. Moreover, we offer Dot Printed Grosgrain Tapes, Frill Tab Ribbons, Antique Tape Laces, Embroidery Sequins Laces, Designer Laces no-5581 and others. These laces and ribbons are made using high quality raw material procured from some of the trusted sources. Moreover, we employ latest technology and advanced machinery for designing and manufacturing these products. We make sure to follow latest trends and clients’ preferences while designing these products. Our product range is highly demanded all across South/West Africa, East Europe, East Asia, Central America, North Europe, South America, South/West Europe and North America. 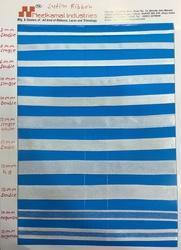 Our product range includes Woven Label, Gift Packaging Lace, Velvet Ribbons & Many more. 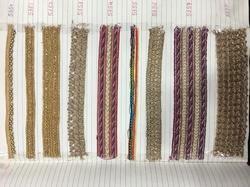 Our attractive collection of laces is made available to the clients in a variety of designs, patterns, finishes and other specifications, in order to meet exact market demand. We also provide customized products to the clients that are designed as per their exact preferences. These products are checked on certain well-defined parameters to make sure that our customers get flawless laces and ribbons from us. Besides, our range of products is widely admired for its fine finish, perfect sheen, colour & shrink resistance and high tear strength.